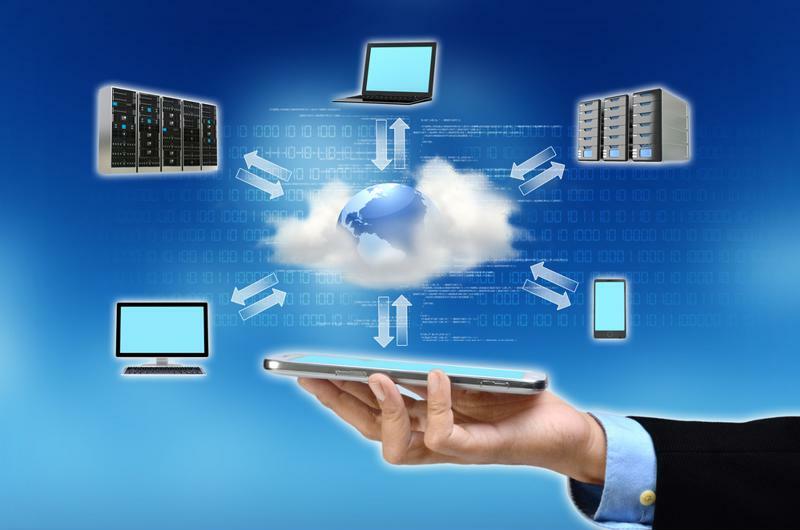 What are some top benefits of hybrid cloud computing? ISG Technology > Resources > Blog > What are some top benefits of hybrid cloud computing? As the technology industry continues to advance and new capabilities are discovered every day, one of the biggest improvements on traditional IT infrastructure comes in the form of the hybrid cloud. Where private and public architectures offer distinct advantages depending on what the computing needs of a company may be, hybrid strategies can bring together the best of both worlds. "The hybrid cloud market is expected to be worth an astounding $84.6 billion in 2019." The hybrid cloud market is growing at a rapid pace. Earlier this year, RightScale's State of the Cloud 2015 survey indicated that 82 percent of enterprise respondents had deployed a hybrid strategy within their companies – an 8 percent increase over 2014. In addition, the hybrid cloud market is expected to be worth an astounding $84.6 billion in 2019, according to research published by MarketsandMarkets. This growth will come at a compound annual rate of 27.3 percent from 2014 to 2019. What do these numbers mean? Among other things, they are an indication of the growing popularity of hybrid cloud migrations. As businesses consistently turn to some form of cloud computing to provide them with the right data analytics tools and storage solutions, the fact that the overwhelming majority are using hybrid infrastructure points to the versatility and possible cost-savings associated with these kinds of environments. Hybrid cloud computing brings together all the good parts about public and private offerings and integrates them into one well-managed solution. In this way, companies can run applications that require capabilities only offered by the public cloud while simultaneously storing their more confidential data on private cloud servers. The federal government is one high-profile organization with an eye on the cloud. According to CloudTech, the IDG indicated that in 2014, the feds spent $1.7 billion on private cloud and $118.3 million on public. The combination of both platforms has allowed for greater flexibility within IT infrastructure. Integrating private and public cloud offerings can make a difference in IT flexibility and efficiency. With hybrid strategies, companies can pick what they want to store in different cloud environments. This leads to distinct benefits, including cost-reducing advantages. Research firm Gartner revealed that one of the biggest benefits of hybrid cloud is the impact it can ultimately have on a company's pocketbook. In particular, capital expenditures can decrease dramatically over traditional IT systems, since investment in and maintenance of physical machines is no longer necessary. In addition, according to Network​ World contributor Robert J. Gibbons, Jr., the inherent financial advantage that comes from investing in these kinds of IT solutions can be augmented by creating data backups and utilizing cloud storage services. Disaster recovery strategies are crucial for any business, and hybrid IT allows managers to determine where mission-critical data needs to be stored in case of an emergency. The bottom line is that companies can save money and strengthen their IT infrastructure by investing in hybrid cloud. Not to mention maintaining your environments doesn't have to be a hassle. When you partner with a certified managed services provider, IT management can be simplified and you can cut down on complexities that might slow down your operations.